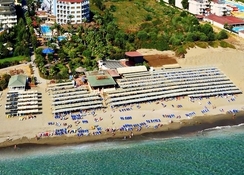 The Caretta Beach Hotel is a popular choice close to the Mediterranean Sea in Turkey. 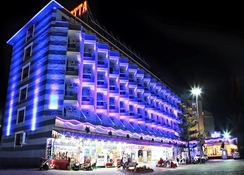 It lies close to Alanya, a historic coastal town with an interesting ruined fort, and great local shopping. 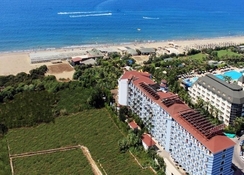 12km west of Alanya in the district of Konakli, it has extended over the winter of 2012-13 with an additional 115 rooms. 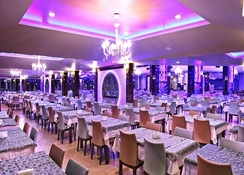 Boasting a warm and friendly service, guests will enjoy its relaxed atmosphere while younger guests can let off steam in the kids' club and children's playground. Guest rooms are modern and stylish, with good floor space, private balconies, private bathrooms and plenty of upgrades. Modern conveniences like fridges and satellite televisions are available. Some amenities may be payable locally. 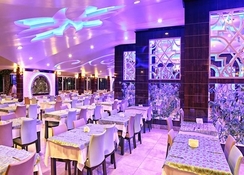 Guests can enjoy buffet dining in the international restaurant. There are several snack bars and drinks locations around the resort, and the bars in the evening host live entertainment. 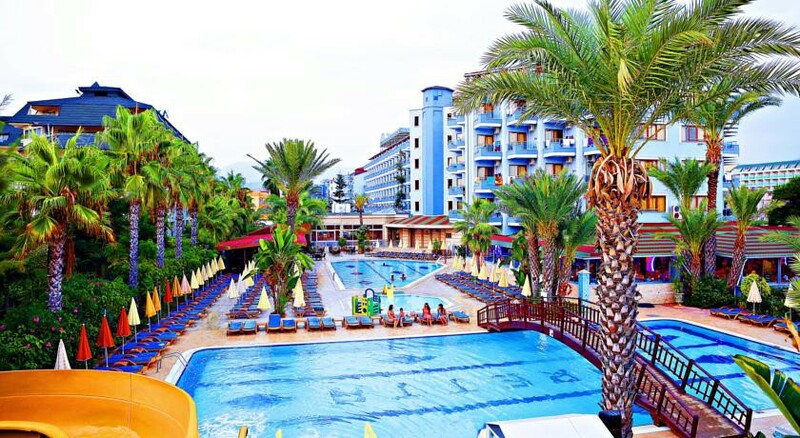 There is a large swimming pool for kids to enjoy, and a second pool with water slides. Children have their own pool to splash in.